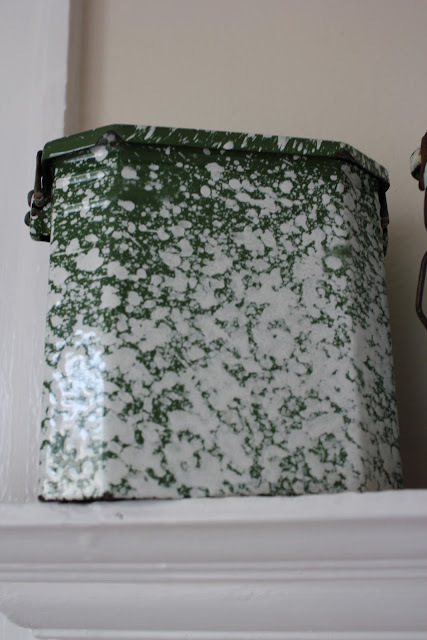 Today I want to show you my small collection of French enamelware lunch boxes called gamelles. From what I have learned they were used in the 30's and 40's in France by miners and school children. Notice how pristine the inside of the lid is. I find that this is the case regardless of the condition of the exterior. The tin insert is to hold bread or crackers white the box itself held soup or stews. I hope you all have a great evening. Love them! They are darling!